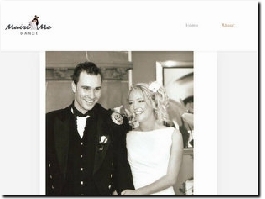 MairiMeDance provide bespoke dance lessons for couples, Father, Daughter dances and groups. Also provide a wide range of hen party options. First Dance Lessons & Hen Party Dancing! 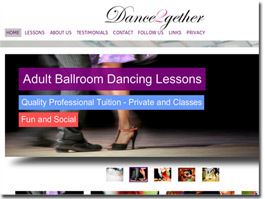 Providing special and memorable wedding dance lessons to couples across the UK. We also teach dance lessons at hen parties! Professional dance teachers nationwide and an affordable service! You only get one chance of a first dance, why not make it special. We will help create a first dance you can remember forever in years to come. Our Award Winning Dance Tutor Laura is available to teach and choreograph your wedding dance. Have your wedding dance created by our professional team. Have fun! Wow your guests! Whether you are looking for a choreographed extravaganza or simply looking to improve your confidence and not step on each other’s toes. Packages to suit all. I am an experienced dance teacher covering the London and West Sussex areas. I will teach you to feel confident as you glide around the dance floor and fully enjoy that special moment. We will work together to create a dance routine that both of you are comfortable with. Occasional Dance offers exclusive wedding first dance choreography to couples, enabling you to step out in confidence on your special day. We cover every style of dance you can imagine, so it doesn't have to be a traditional dance, you can choose what ever you want and we will create that dance for you. Giving you steps and confidence, so you don't have to feel embarrassed at all dancing on your big day. Occasional Dance offers one to one dance lesson tuition with a professional choreographer/dancer, all of which are professionally trained dancers/teachers with a wealth of experience and patience. The choreographer will individually choreograph and teach you a routine with any personal ideas you would like included, taking into account any wedding dress restrictions ensuring every couple has their very own unique first dance. Giving you the confidence you need to dance without fear. Enjoy your first dance rather than dread the whole experience.